Having arrived in Copenhagen the beginning of November, we welcomed winter snow and indoor fires with glee. By February that glee had turned into glum; this expat family was in serious need of sunshine. OK, that’s a bit dramatic, but point made. 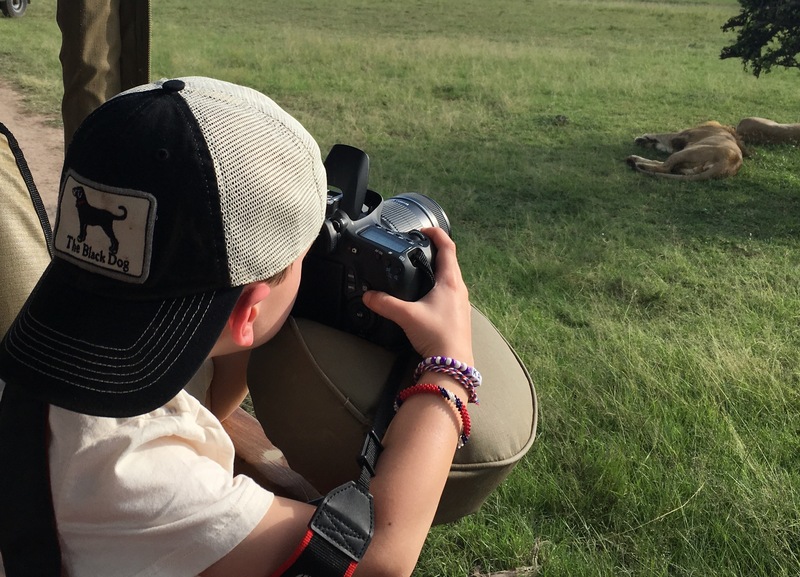 It was Winter Break and the world map was calling… where to next… Kenya of course! Time to take the kids on their first safari. No journey is without effort and as we finally set-off for the airport in the wee hours of the morning (note: early hours = a cranky 6 & 7 year old) we had to take a few deep breaths, remind ourselves why this was a good idea and negotiate with said-children regarding nap time and iPads usage. Don’t judge! Jokes aside, the trip was seamless and very doable; a quick 90-min flight from Copenhagen to Amsterdam followed by an 8-hour flight to Nairobi, Kenya during which the kids watched movies, read, played card games, ate copious amounts of “vacation treats” and basically treated the flight like a road-trip. It’s a daytime flight and a 1-hour time change so it’s really not too taxing nor do you have to fight the beast that is jetlag. Landing at Jomo Kenyatta International Airport we were met by the largest smile & sweetest Kenyan gentleman, and whisked away to an overnight stay at the stately Giraffe Manor. After a good night’s sleep in our family suite we eagerly head-off to breakfast, only to be met en route by a resident giraffe. Well, that’s not an everyday occurrence. 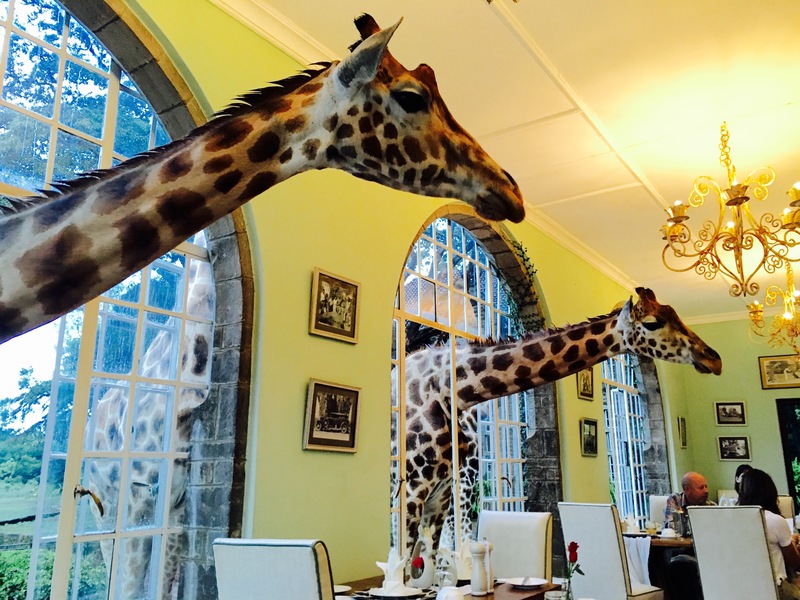 With two VERY excited kids, we “quietly” made our way to the breakfast room and proceeded to enjoy breakfast with a herd of Rothschild Giraffe. The kids dashed between feeding Daisy (the favorite) and eating their pancakes. Such fun, and how could we possibly top this experience! Off into the Nairobi traffic and after some snail-pace driving (no fault of our driver, Nairobi traffic really is that crazy), we arrived at Wilson Airport for our light aircraft flight… let the safari magic begin. 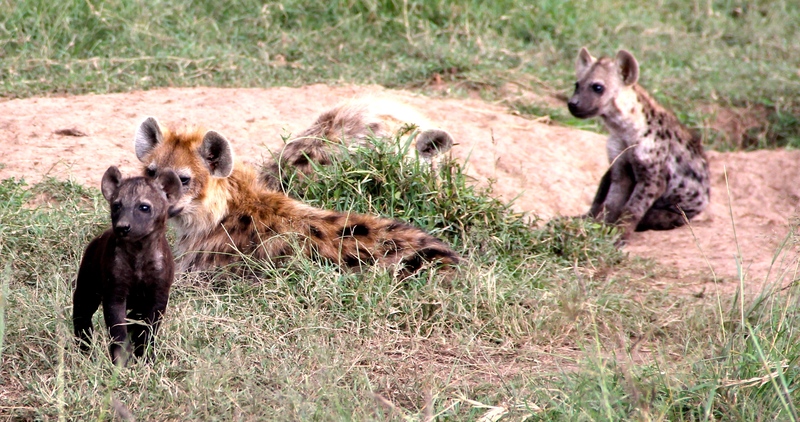 There was no containing this family’s excitement as we touched-down on a dirt airstrip deep in the Mara Triangle. 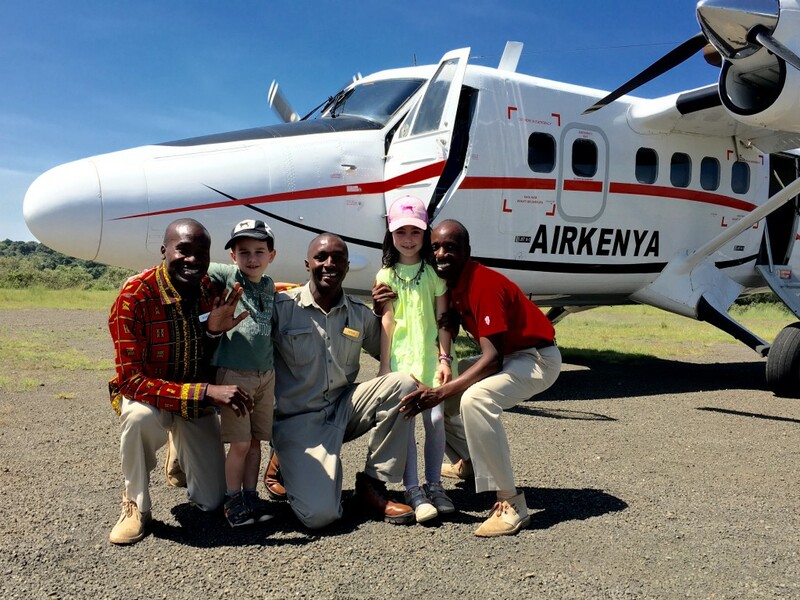 The kids bounded (or possibly bounced) off the flight and were immediately enchanted by our welcoming committee in the form of Ranger Titus and Naturalist John in full Maasai regalia (the little guy thought he was a King). 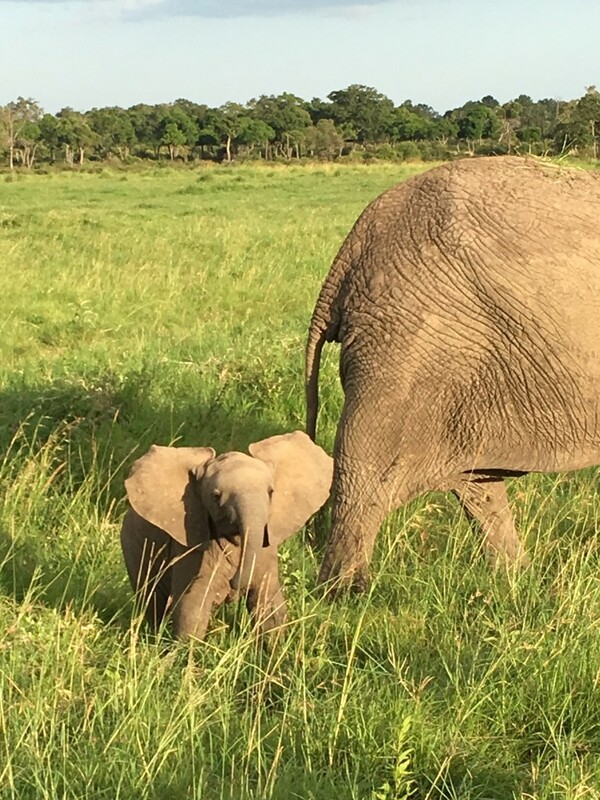 A few short minutes and we were jumping off the jeep and following little legs as they raced to Angama Mara’s North Camp deck and baraza area. We had arrived. I’ve had the incredible fortune of traveling Africa widely and staying at some exceptional properties along her coastlines, in cities, winelands, on safari etc. And stepping on to the Angama deck I was physically taken aback by the majestic view before me. To say that it’s special is an understatement. It even stopped two very busy kids in their tracks and held their attention, before spotting a rock hyrax and dashing off with Titus to catch a photo of the creature. Priorities! 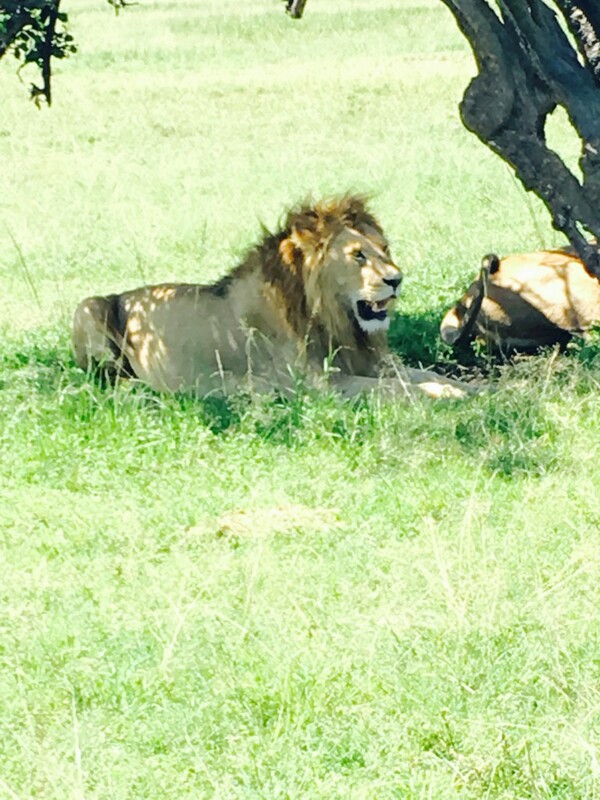 This was a quick safari trip as we only had so much time on our hands (school vacation meet Dad’s work schedule) and we purposefully decided to spend all 4 nights on safari with Angama vs. split our time. A wiser decision could not have been made. The kids would’ve rebelled had we even considered leaving a day earlier. In fact, their little bodies sobbing – at having to leave Angama – on the return flight to Wilson Airport was heart wrenching enough. We did have a few funny looks from others on our flight, at our weeping willows, but they all smiled & nodded in understanding as we shared that it was their first “heart break” nothing more sinister… truth be told, there were some adults who were rather choked-up at the thought of leaving! but in all honestly, this was probably reason no 4 or 5 on the list. They certainly loved being on game drive and were as thrilled as Mom & Dad to see elephant up-close, drive through a breeding herd of Cape buffalo, watch a lone rhino cross the savannah – which led to a family chat about conservation, poaching, the plight of the rhino and our role in protecting the planet, catch sight of the elusive leopard, listen to grunting hippo in the river below and giggle over a lioness clumsily dropping to the ground from her lounging spot in a tree (to name just a FEW sightings). 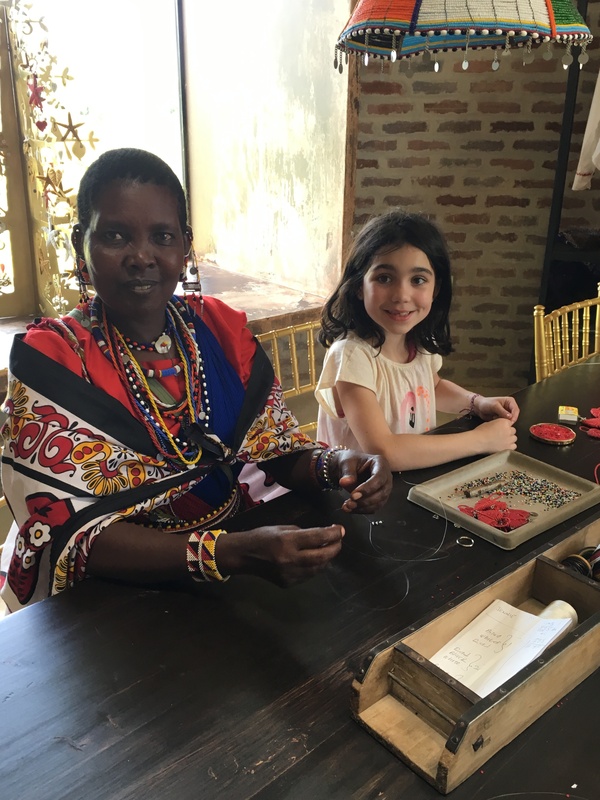 All of this was only part of the fun…I know for a fact that my big girl would’ve been willing to sit and bead with the Maasai women at the Angama beading studio for days on end. 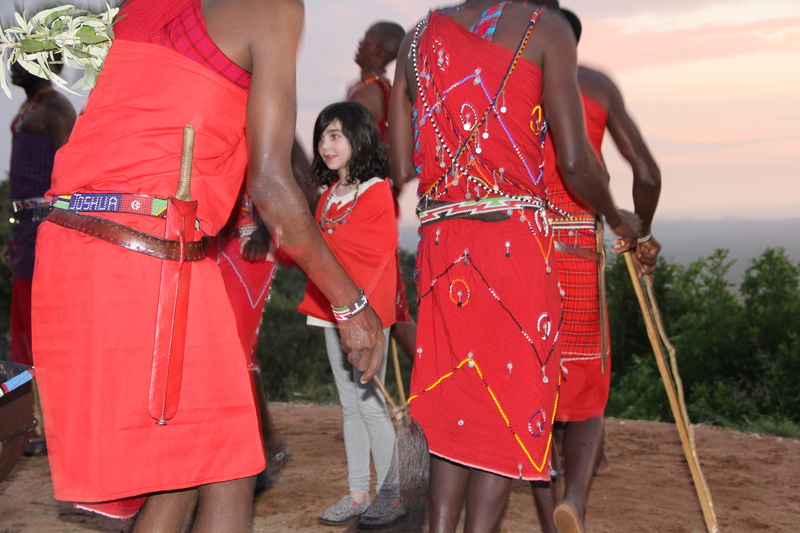 She’d eagerly head-out on game drive in the morning only to ask a few hours later if we could return so that she could bead with her new friends. She spoke no Swahili, they spoke little English and yet this was her happy place, as they created jewelry pieces (now prized items) together. My son was desperate to drive the jeep and be just like Ranger Titus. And so, Titus made it happen not because we asked but because he knew what joy it would bring. I still listen to stories about “when I drove the jeep just like Titus” and have video of the BIGGEST smile my kid has ever had, sitting on his Ranger buddy’s lap and driving along a dusty road in the middle of nowhere. 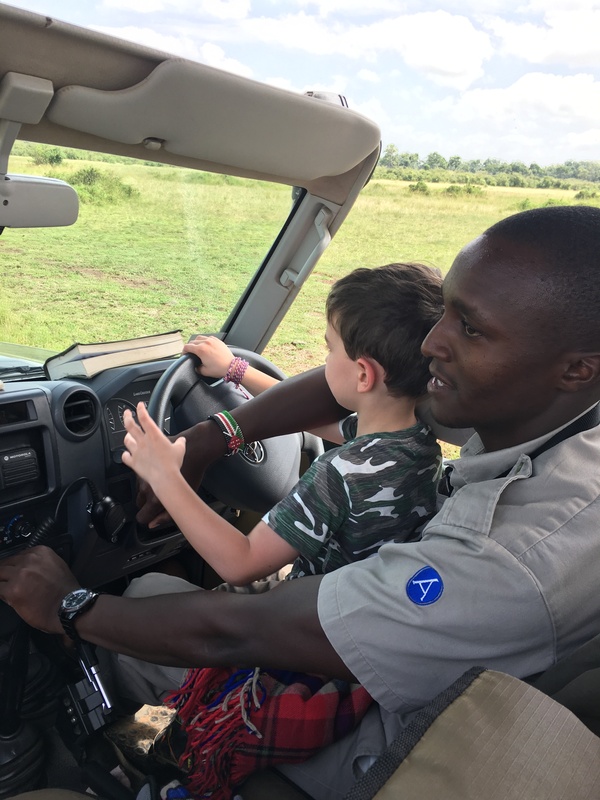 Perhaps my 6-year old will be a Ranger one-day or not… but while at Angama that was his dream and it was fulfilled. It’s not often you can make someone’s dream come true. In fact they were having so much fun at the lodge, with respective staff, that they eagerly advised Mom & Dad that they would not be joining one of the morning game drives as John was taking them on a nature walk. We weren’t invited (!) and so off we went on game drive while the kids went walking with John. Over 2 hours in the bush surrounded by giraffe and zebra, crafting bow & arrows, catching butterflies, learning how to make fire and survive in the bush and hearing about Maasai culture (“Mom, did you know that Maasai drink cow blood & milk”); this was a favorite morning. And… wait for it… no TV, no iPads or iPhones… just John. And on it goes; from a visit to the village school and an impromptu soccer game, an afternoon splash in the sparkling blue pool overlooking the Mara, right down to our unbelievably gracious butler, Bonface, arranging their favorite meals; sneaking extra Maasai honey cookies onto the game vehicle, and making sure that they got to bake with the pastry chef and dance with the Maasai warriors at Boma. Yes, the animals were a huge part of this trip BUT honestly the humans were an even bigger part for our family. 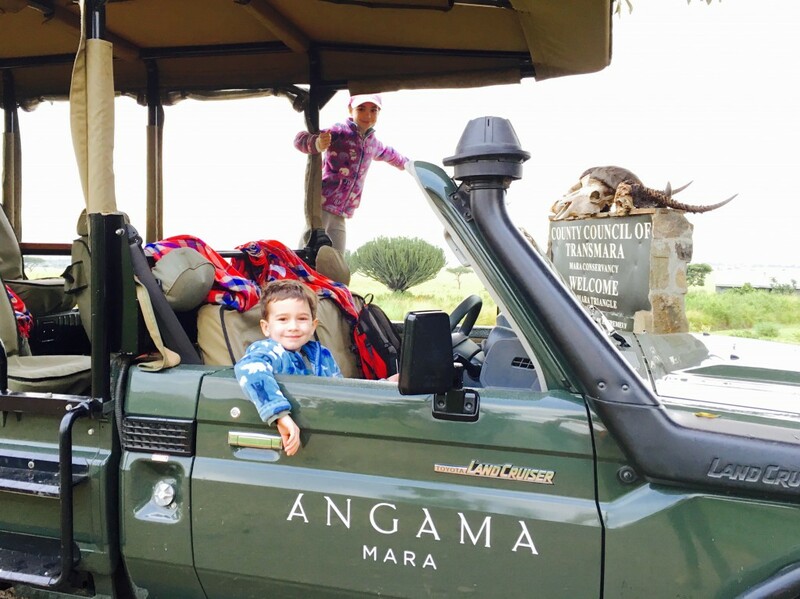 Our little city slickers fell in love with the humans of Angama Mara. And when the opportunity arose, Mom & Dad took the gap and enjoyed some adult time too. A romantic picnic on the crest of the “Out of Africa” kopje that is featured on the movie’s poster was a highlight. Hubby, bubbly, sunshine and that view… bliss! But in all honesty, it was watching our kids be amazed by Mother Nature and being so free to make new friends and try new things that made this the very best family vacation. And there’s no set Kids Program. 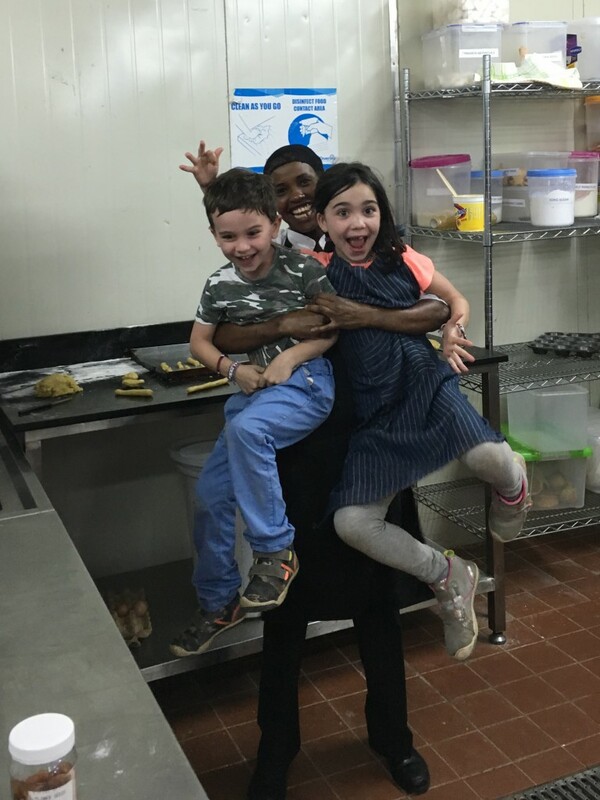 It’s the Angama family doing what they do best. My kids went on “sforee” (see little guy’s school drawing attached) and fell in love… with Kenya, her wild animals and some very special people. I did too. 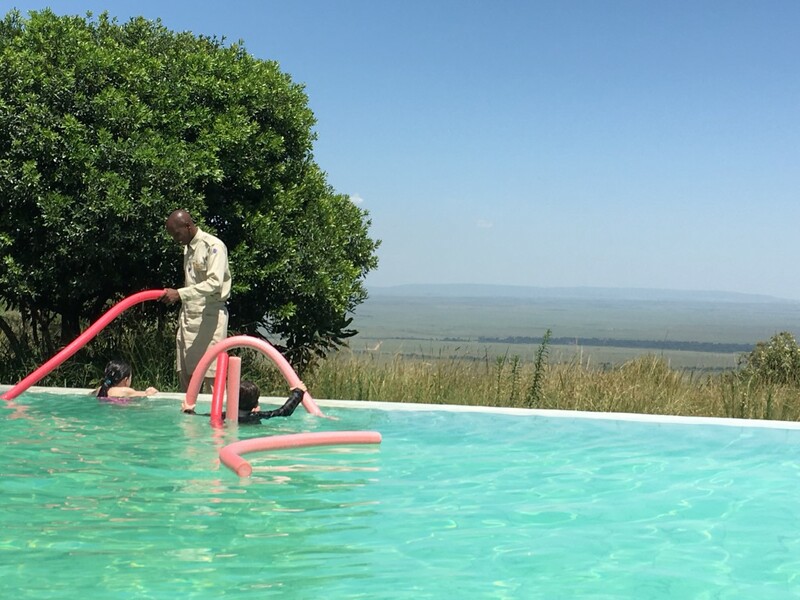 Designing bespoke, life-changing travel experiences in Southern & East Africa including Indian Ocean Islands is what I do… and live… and if this sounds like the right adventure for you and yours, please shoot me a note on tamsyn@travelartistryafrica.com. Cheers! NOTE: This is not a paid advertisement. You can however call Tamsyn if you want to have an experience like she had and she will help you.